It’s a toss-up on whether the North America Free Trade Agreement will survive. The fifth round of discussions has concluded in Mexico and Foreign Affairs Minister Christie Freeland is not optimistic. “Hope for the best and prepare for the worst and Canada is prepared for every eventuality,” she said. Failure of NAFTA will have only a slight negative economic impact. If the U.S. terminates NAFTA, as the unpredictable President Trump has threatened to do, trade would revert back to rules of the World Trade Organization. Under those rules, the added tariffs would only add 1.5 per cent of the cost of goods exported to the U.S. according to a study from the Canadian Centre for Policy Alternatives. With “trade” in the title, you could think that’s what NAFTA about. And since Canada is a trading nation, you could conclude that NAFTA is vital to our economy. 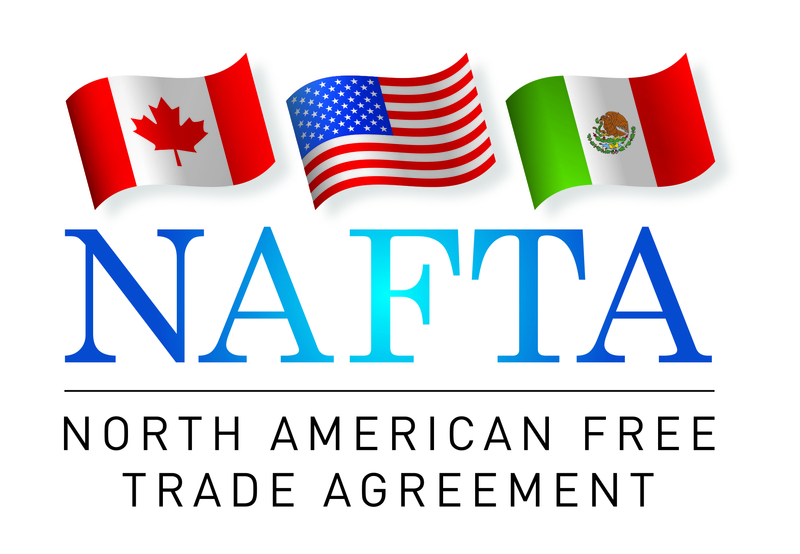 While NAFTA offers some advantages, it has a number of disadvantages such as the investor-state dispute settlement provisions that allows foreign firms to sue governments. And exports of Canadian softwood aren’t even covered. However, trade deals like NAFTA are not primarily about trade. Trade takes place without them. These trade deals are actually about protection of corporate interests such as “intellectual property” which is not property in the usual sense. It’s a means of commodifying artistic and technological creations such as brands, music, movies, patents, and software. America normally supports trade deals because they benefit most. The deals enforce corporate interests, and in the U.S. corporate interests = government interests. The reason that the U.S. is so interested in intellectual property is because it’s one of their biggest exports. Culture, what the U.S. calls entertainment, makes up one-third of American exports. American movies are seen in theatres around the world. U.S. pop songs are heard in the streets. Kids play American-made video games. American inventions such as the iPhone are ubiquitous. An indication of how poorly President Trump understands the American economy is his rejection of the Trans-Pacific Partnership. It was a license for U.S. corporate giants to impose protection of intellectual property. I celebrated its demise after Trump cancelled the TPP but I had to wonder what (if) the president was thinking. The demise of NAFTA would lift a weight off of Canadian creativity and allow it to flourish. Michael Geist, Canada Research Chair in Internet and E-Commerce Law at the University of Ottawa, was asked to advise a Senate Open Caucus meeting on modernizing NAFTA. “To my surprise, the shift in focus to a post-NAFTA world was liberating, opening the door to considering Canadian policies that have previously been viewed as unattainable given intense U.S. pressure on intellectual property policy that favours ‘Americanization’ of global rules,” he said (Globe and Mail, October 20, 2017). By loosening the grip of the U.S. on creativity, Canadians can market their innovations globally; innovations such as software developed by Blackberry for self-driving cars and recently sold to the Chinese firm Baidu. Of course, our intellectual property needs protection. With the U.S. out of the way, international agreements can be struck that encourage innovation while protecting creators without one player holding a big stick.